All organisations need to ensure they have the processes and procedures in place to deliver an effective, efficient and compliant security provision. To help organisations be better prepared to meet these challenges, CPNI has produced a suite of guidance products known as Protective Security Management Systems (PSeMS) which support a methodical and proactive approach for assessing and managing holistic security risks for senior leadership teams and security managers. PSeMS helps raise the profile and importance of security at all levels across your organisation. But, critically, it establishes the requirement for senior management support, review and oversight, by providing clear evidence to justify enablers such as additional resources and investment. By appointing an accountable manager at Board level your senior management teams will see the benefit of having security appropriately governed, resourced and managed. PSeMS should not be seen as a particular piece of technology, nor is it simply a set of documented procedures. Well implemented PSeMS is not a burden on the organisation’s core business, but brings together a range of processes including governance, communications and risk management, reducing gaps in security management and providing greater assurance – enhancing security effectiveness throughout an organisation. As with all management systems, PSeMS provides for goal-setting, performance measurement and planning, and focuses on maximising opportunities to continuously improve security and the system itself. It is not necessarily about implementing new processes, but ensuring that the current ones are fit for purpose and brought together to provide an optimised and holistic approach to security. 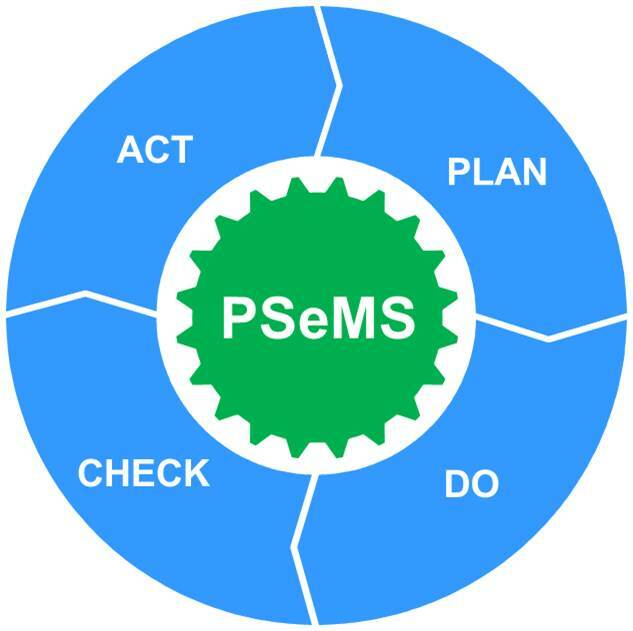 PSeMS guidance does not replace ISO Standards but should be used as a gateway to other existing Industry Standards and regulatory frameworks, accreditation and certification schemes. A self-assessment PSeMS checklist for organisations to use to conduct gap analysis and/or assurance activities.